The girls of T-ara are now on their way back to Korea after attending to their schedule in China. 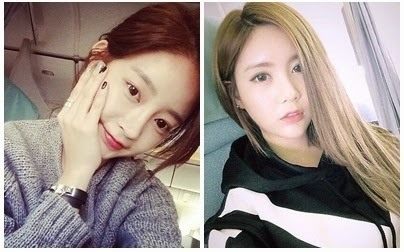 Taken while inside the plane, here are the adorable SelCa pictures of T-ara's Qri and Soyeon. You can also see Qri's photo with her friend below.